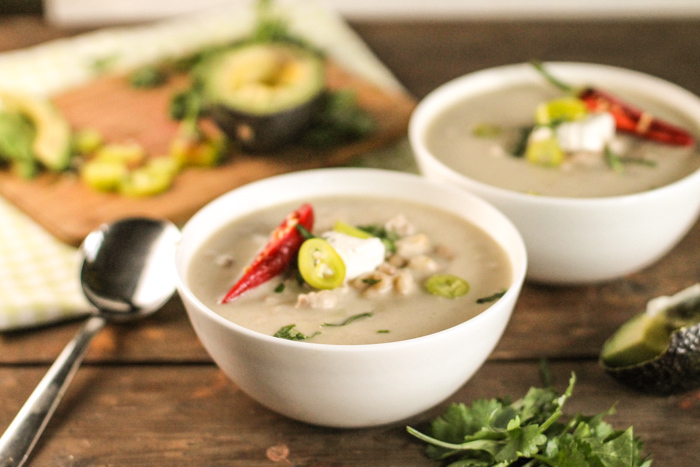 A creamy, comforting low carb white chicken chili made easily in you Instant Pot, or stove top too! Better yet, there is a hefty serving of sneaky vegetables pureed into the broth for a silky thick texture! When the cool weather hits, I crave soup like nobody’s mother! So warm and comforting, and infinitely adaptable, soups are a great way to get plenty of nutritious foods into one pot! I have to be especially creative in this house since I only have one fellow soup lover! So while I will drink cups and cups of my favorite pumpkin soup, I know my family will need something a bit different! So wanting to create a soup that still had some nutritious veggies in it, I decided to use another favorite family soup recipe, Keto Bacon Cheeseburger Soup, to start my creative juices! 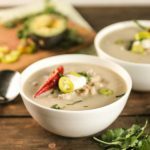 Gluten Free White Chicken Chili? My family still enjoys their beans, so I always add traditionally soaked and cooked navy beans to their portion of this white chicken chili!! By soaking those beans, I have reduced that pesky phytic acid, making the beans easier to digest, the nutrients more available. I usually soak my beans until a healthy layer of scum forms, 1-2 days. Then I rinse them thoroughly, throw them in the Instant Pot for double the water, hit the bean/chili button, and they’re ready to go! Here is a great visual on soaking beans! 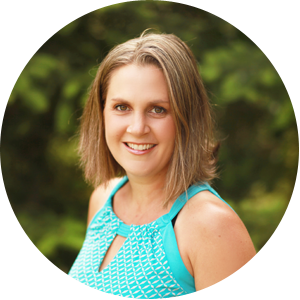 By using bone broth (homemade or store bought), I ensure my family is getting lots of valuable amino acids, protein, and gut-healing collagen. I recently discovered a rocking powder with no weird fillers...just delicious chicken bone broth goodness…dehydrated! It’s convenient in a pinch when I do not have homemade on hand. Use code Tessa10 for 10% off any order. TIP!! I have added high quality gelatin directly to my soups, 2-4 tablespoons for additional nutrition!! When warm, the gelatin will be dissolved and totally undetectable! Keep in mind, depending on how much you use, your COLD soup will gel like jello…so just reheat and all will be right again in the soup world! Add pureed veggies! They lend a creamy texture, and picky kids and pallets won’t know the difference! In this keto chicken chili recipe, I pureed a whole head of cauliflower right in the pot!! And it makes this soup extra creamy, and extra nutritious. Easy & Healthy Lunchbox Option + A Tip!! Soup make excellent lunchbox foods!! Make sure you have some high quality thermoses available, then my little trick to help then stay warmer longer: I fill them with scalding hot or boiling water FIRST, before I put the food in! This way, the heat in the food stays there, and is not transferred into heating the container itself! Having a hot lunch available at school or at the office is a real plus and helps keep those lunchboxes more interesting! No Pressure Cooker? No Problem! Simply follow the steps as stated, but do on the stove top!! After you brown and remove the ground chicken, add the broth and veggies to the pot. Simmer about 20 -30 minutes until all pieces are tender and ready to puree. Add in the cream cheese and cheese, and using an immersion blender, puree the soup right in the pot, the add the meat back in. Using the 'saute' feature on you Instant Pot, brown the ground meat with the sea salt and garlic powder. Continue breaking it up until cooked through, remove and set aside for later. Add the broth mixture to the Insert, stirring to combine. Lock in the lid, set the manual timer for 7 minutes. If doing stove top, increase cook time to 25 minutes, low simmer. When the timer beeps, you can do a quick release and add the cream cheese and cheese to the pot. Use an immersion blender and puree the broth and now cooked vegetables and cheeses right in the pot...or in a blender is fine too. Once smooth, add the ground meat back in and taste, adding more sea salt if necessary. If you decide to use beans, now would be the time to add those too. Serve with any of the optional garnishes! On my list to try this one in my IP! Yum! I love chicken chili. This recipe looks so good, I can’t wait to try it! Love this recipe. Great instructions. Thanks for info re soaking beans too. 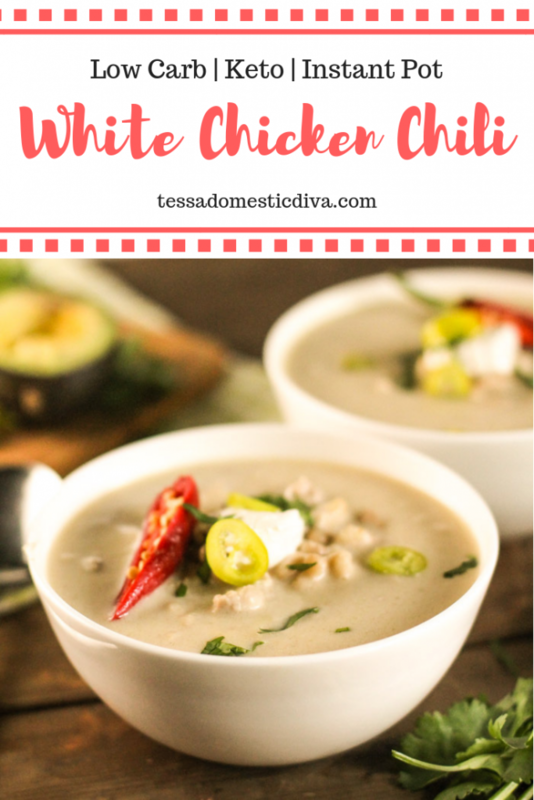 I loooooooove white chicken chili, and your recipe is the simplest one I’ve ever seen! I would add lots of those red chiles to my bowl! This soup sound and look absolutely delicious! Trying it later for dinner!!! So delicious and the perfect fall comfort food! We all loved it . I made it stove top, and added an extra cup of the broth and a few more dollops of cream cheese . Definitely a keeper! Yay!! Not surprised additional broth might be needed for stove top…more evaporation!! Thanks for your feedback! Thanks for the inspiration, Tessa! Made this tonight with a few tweeks based on what I had – green salsa, chicken tenders, sour cream – go figure that I don’t have an immersion so after shredding the chicken in the food processor, I just used that to blend the veggie base. Worked like a dream. Everyone loved it and a definite keeper for a rainy day. Awesome Raeleen!! Loving your tweaks!! You know I love IP meals and I love how quick this one cooks. White chicken chili is such a yummy recipe, and I love that your version uses cauliflower to make that creamy base. So good! This looks and sounds SO delicious!! I am a new Ipot user and this appeals to me; straightforward and lots of options! Thanks Tessa.. Will take a peek at your other soup recipes too.. We LOVE soup and stews at my house! I want a bowl of this right now! Looks so darn delicious, that I can almost taste it! I’m serious when I say I’m making this over the weekend, soup season is my favorite and I’ve been looking for a new instant pot recipe. What a nice, creamy-looking soup! I could have a bowl of that right now! This looks like a tasty bowl of comfort food! I love that you have soaked the beans and added extra gelatin! I love chicken chili! It’s such a nice switch up. Delicious comfort food!! Mmm, love this! Pinning! I love chili when the weather gets cold! I may just have to give it a shot now! 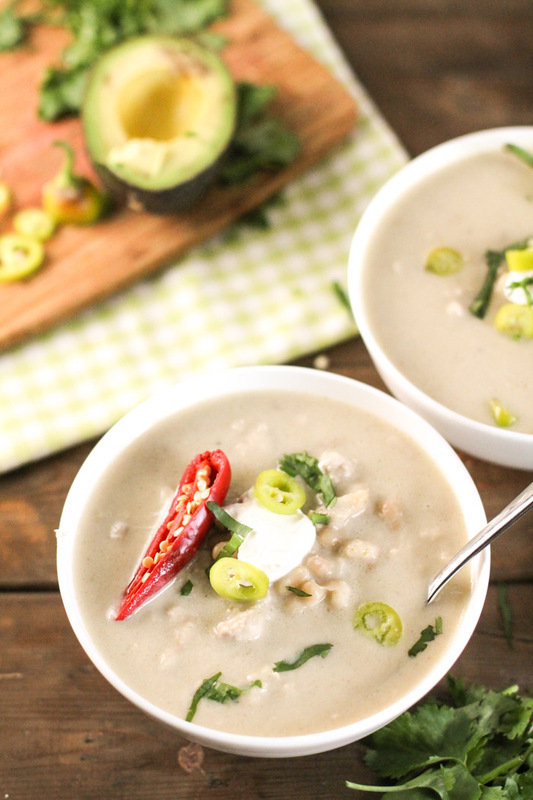 I love white chili so much, and this looks incredible! I’ve never been a huge fan of normal chili, but white chili on the other hand… I just can’t get enough of it! This looks absolutely delish. So cozy and warm. YUM!! OK, I really can’t wait to try this – I need to make it TODAY! If it’s half as good as your hamburger soup (which I’m sure it is) it will be an instant hit! I love your idea of putting gelatin dirctly in the soup, why didn’t I think of that!?! This is the perfect blend of spicy, creamy, and rich that I love in a chili. It looks gorgeous. Definitely a new idea for using up my bone broth this season. Such a hearty and comforting chili! I love that it makes a great meal with leftovers for the lunchbox! Great tips for keeping it warm. This looks so good! I’ve heard that you can cook beans in the Instant Pot without soaking, but I’ve hesitated to try it. It makes much more sense to soak them like you describe here. Beautiful looking soup! It really is so amazing how much time Instant Pots save us! Yes to THIS white chicken chili! Love the spices like cumin. And the avocado on top, omg drool. Wow. This looks amazing the way you have put it together. Your photos are so well done. I love a good spicy chili. Thanks. The cauliflower and cream cheese!!! SO yummy, what a brilliant base! This is so lovely – my girls would definitely gobble this up in a thermos for school lunch! Renee D Kohley recently posted…Gluten Free Halloween Cupcakes :: Ghost Cupcake Treat PLUS Other Halloween Cupcake Decorating Ideas! OMG, this looks so creamy and comforting! I actually prefer white chili over and red, and this sounds fantastic. I have been working on a white chicken chili FOREVER Tessa. Now I can quit and just eat yours- yum!